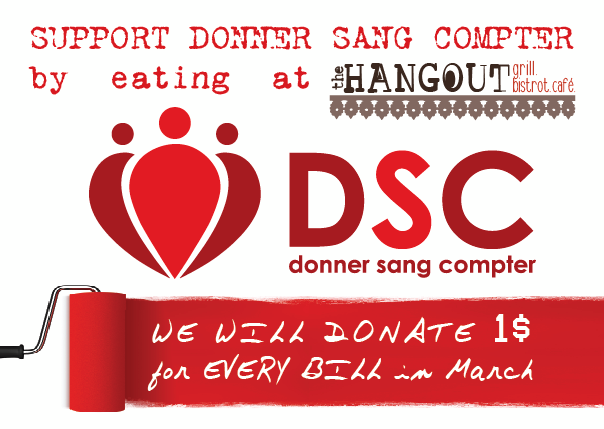 »Contributions»The Hangout Beirut Supporting DSC In March! The Hangout Beirut Supporting DSC In March! The Hangout Beirut, a grill, bistro and café located at the heart of Gemmayze, will be donating during the month of March one dollar from each bill to DSC. We would like to thank the whole crew for this wonderful initiative, hoping that you respond to the call by hanging out there, having fun and helping save lives! ← February 27: Destination AUST Beirut For Another Blood Drive!